Berlin from another perspective: The casual, relaxed atmosphere of the city has become a major draw card for young people seeking to move to Berlin, not just from the rest of Germany, but also from other parts of Europe and even further afield like the United States. What makes the special atmosphere of our city today? Joseph Hajdu from Australia directs the focus at certain aspects of Berlin life today, concentrating on places, people, and issues that help define the city’s present social, economic and cultural character. Berlin aus anderer Perspektive: Wie keine andere Stadt ist Berlin in den letzten Jahren wieder zum Anziehungspunkt für Menschen aus aller Welt geworden. Was macht heute die spezielle Atmosphäre unserer Stadt aus? Joseph Hajdu aus Australien richtet den Fokus auf Orte, Menschen und Themen, die helfen, den gegenwärtigen sozialen, wirtschaftlichen und kulturellen Charakter der Stadt zu definieren. 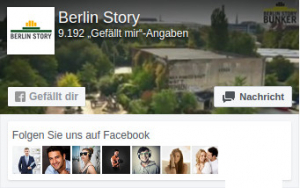 Hier geht es zur E-Book-Seite von Berlin Today.